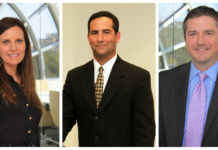 Dallas, Texas, April 4, 2019 – Nine Wick Phillips attorneys have been named to the Rising Stars list by Super Lawyers for 2019. 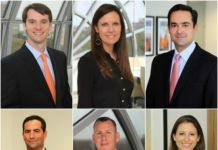 The list includes Dallas partners Michael Bailey, Jeffrey Mills, Molly Jones, Noah Nadler, Rachel Sam, and Rob Wills; Dallas associates Ethan Minshull and Nick Nelson; and Fort Worth associate Zachary Farrar. Since 2004, 36 Wick Phillips attorneys have been recognized as a Texas Super Lawyer or Rising Star. 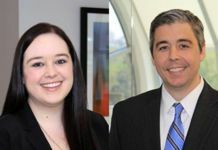 Michael, named a Rising Star for banking, represents borrowers and lenders in connection with a variety of financing structures, as well as assisting clients with the acquisition and disposition of debt instruments on the secondary market. Zachary, named a Rising Star for business litigation, has represented numerous clients in various cases involving oil and gas, banking, breach of contract disputes, and landlord-tenant disputes. Molly, named a Rising Star for employment and labor, has experience in a wide range of employment matters including counseling businesses on employment policies, handbooks, and disciplinary and leave issues, with focus on issues arising under the Family and Medical Leave Act and the Fair Labor Standards Act. 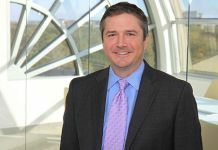 Jeff, named a Rising Star for business litigation, represents clients in a broad range of civil litigation, with a focus on complex commercial cases as well as issues arising under federal and state consumer protection statutes. Ethan, named a Rising Star for business litigation, has experience representing plaintiffs and defendants in cases involving breach of contract, fraud, breach of fiduciary duty, tortious interference, deceptive trade practices, and fraudulent transfer claims. Noah, named a Rising Star for insurance, has successfully represented companies from many different industries in a wide array of complex litigation. Nick, named a Rising Star for civil litigation: defense, handles all phases of litigation, including investigation, post-judgment appeals, enforcement, and collections, and has experience with intellectual property matters. Rachel, named a Rising Star for real estate, focuses her practice on the representation of developers, lenders, property owners, landlord and tenants in leasing, acquisition and sales, finance, and development transactions. Rob, named a Rising Star for real estate, has a strong background in all types of real estate, including industrial, office, multi-family, retail and mixed-use projects, corporate facilities, and multi-state portfolios. Wick Phillips is a full-service business law firm serving clients across Texas and the United States. 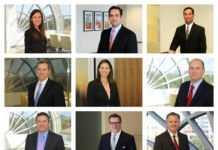 The Firm, celebrating its 15th anniversary in 2019, has grown to more than 65 attorneys, specializing in all areas of business law—complex commercial litigation and appeals, corporate transactions, labor and employment, real estate, intellectual property, bankruptcy, insurance coverage, tax, and securities—with offices in Austin, Dallas and Fort Worth.